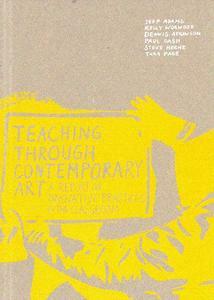 This book is based on a one-year research project undertaken by Goldsmiths, Tate and their partnership teachers. Funded by the National Endowment for Science, Technology and the Arts (NESTA), the project set out to discover and test innovative approaches to teaching and learning in schools through contemporary art practices. The project was initiated in response to previous research by the National Foundation for Educational Research and the National Association for Gallery Education, both of whom established the need for, and the benefits of, teaching through contemporary art. Consequently the research focused on the practical application of new teaching methods with contemporary art in the classroom. Schools taking part were state funded primary, secondary and special schools in London and Liverpool.